A procedural death labyrinth about Tourette's syndrome and Narcolepsy. I have both these conditions and wanted to make a game about them for 7DRL 2018. You're in a dungeon. You have to reach the exit on the last floor. 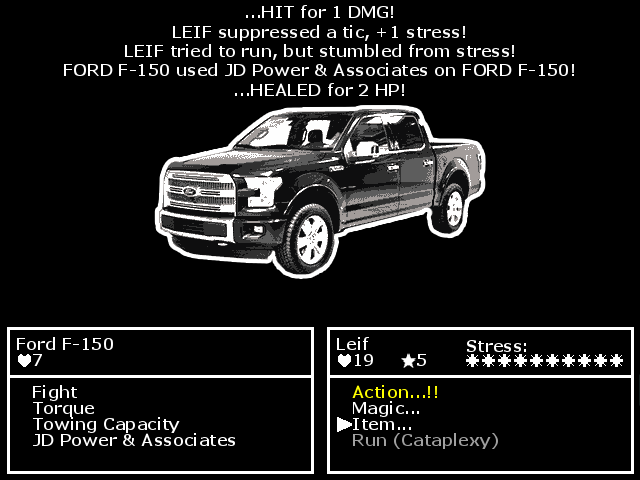 Each level, you gain new Tourette's or Narcolepsy symptoms, which will compel our hero Leif to do things he doesn't want to do through various means, putting his life in danger. Symptoms get worse with stress, and many things you do in the dungeon will increase stress.